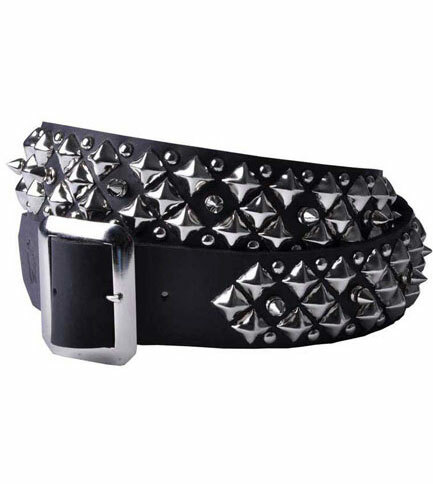 Real leather belt made in the USA with angled chrome pyramid studs, chrome spots and 1/2 inch spikes. This belt measures 1 1/4 inches wide and is made from 1/8 inch thick real leather. 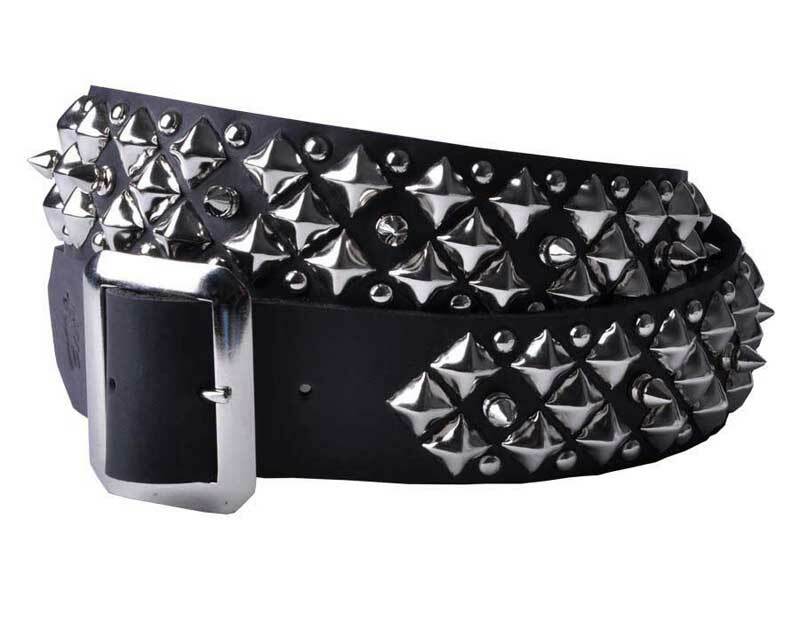 This belt also features a removable belt buckle. Way better than Hottopic's belts!